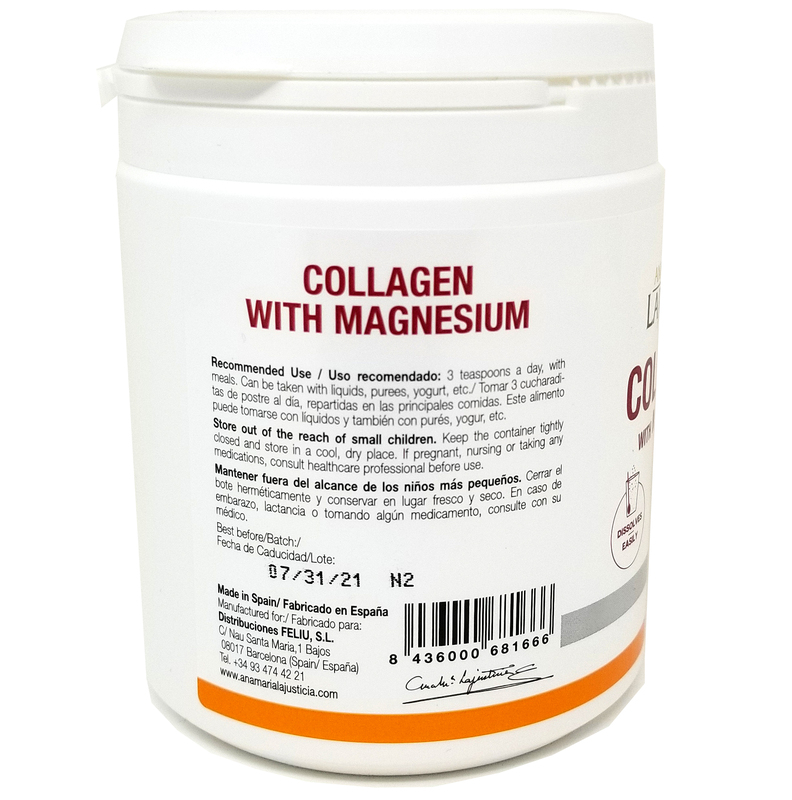 Collagen is the most abundant protein in the human body and is a key constituent of cartilage, tendons and bones and is therefore required on a daily basis. All the connective tissue in our body and joints is made of collagen; its intake helps to counteract wear and ageing and to keep our joints, bones and skin healthy and us fit. 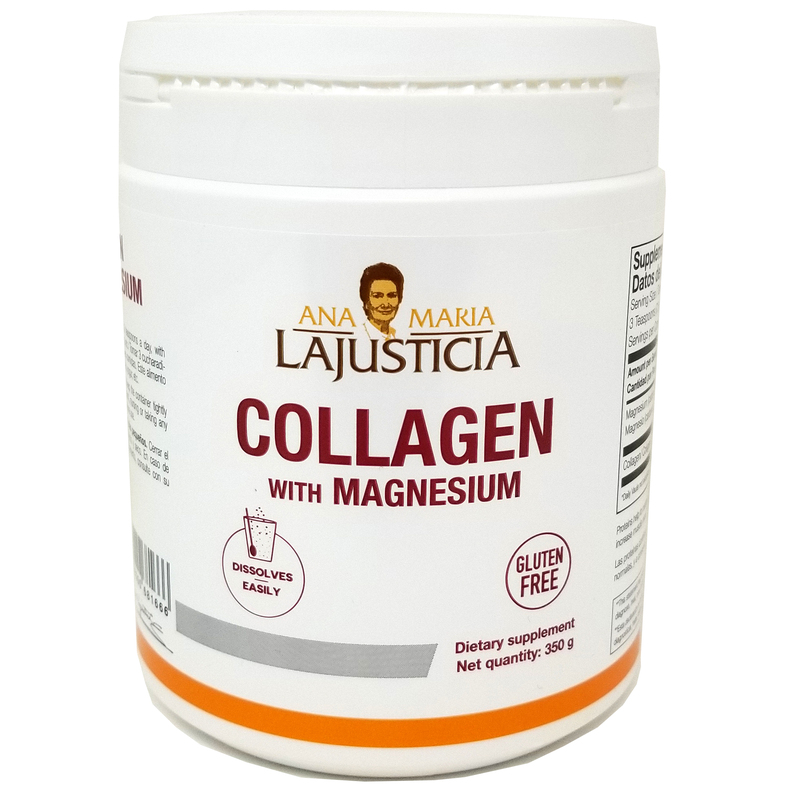 We have added magnesium to this compound, which plays a key role in the formation of proteins such as collagen. Vitamin C is directly involved in the formation of proteins, meaning that it is necessary for the formation of tissues, as well as its antioxidant effect. Osteoarthritis, osteoporosis, tendinitis, torn ligaments, and keeping tendons, bones and muscles in perfect condition. Deterioration of the skin, broken blood vessels (spontaneous bruising), hair loss and brittle nails. Take 3 dessertspoonfuls a day, with meals. It can be taken with liquid and with puréed fruit, yoghurt, etc. 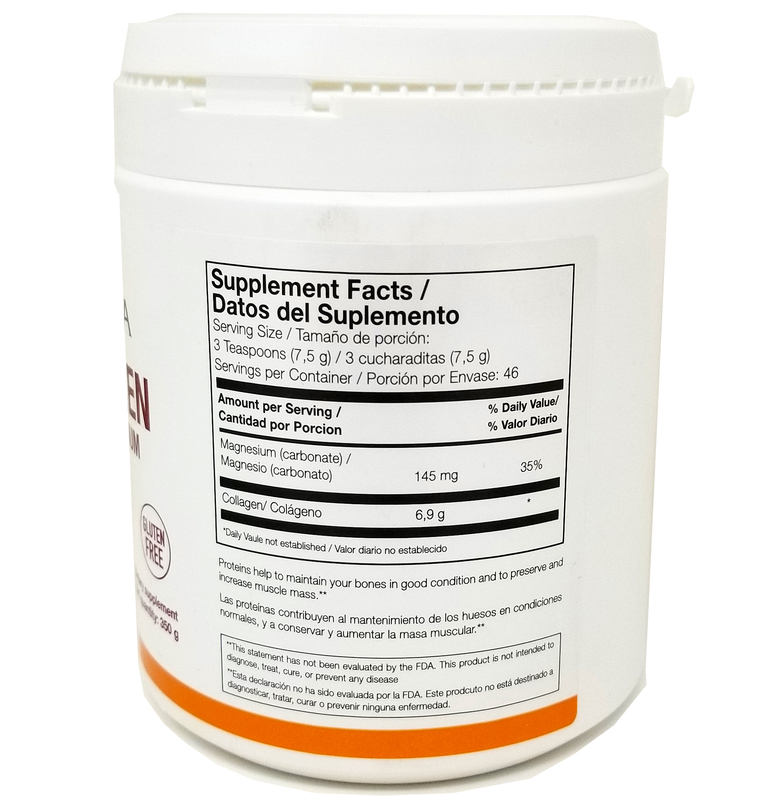 Average content per daily dose of 3 dessert spoonfuls (7.5 g): hydrolysed collagen 5.2 g, magnesium 241 mg (64% NRV) and vitamin C 24 mg (30% NRV). POWDER: Hydrolyzed Collagen, natural strawberry flavor, magnesium carbonate, acidulants (citric acid, tarotary acid [L (+) -]), L-ascorbic acid (vitamin C), sweetener (steviol glycosides), anti-caking agent (magnesium sales of fatty acids). A hydrolyzed collagen base with easy assimilation.